Tent spaces are still available for non-profit and commercial booths, vendor booths, and food trucks. 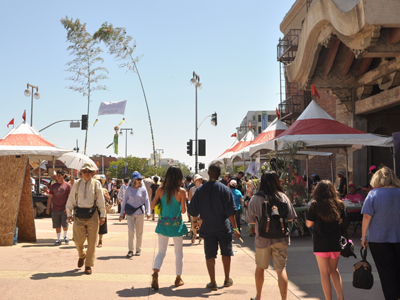 Reserve a space for your organization or business to guarantee a prime location for your food & drink or arts & crafts. There is no application form for Commercial Booths. 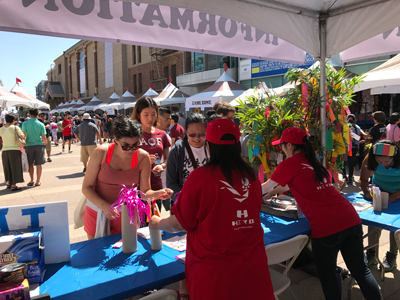 They are promotional booths only available to Sponsors of the event. Included is a 10’x10′ booth with an approved tent covering as well as any tables and chairs as needed. Please contact us below with any inquiries. This application form is for both non-profit and for-profit Food booths. 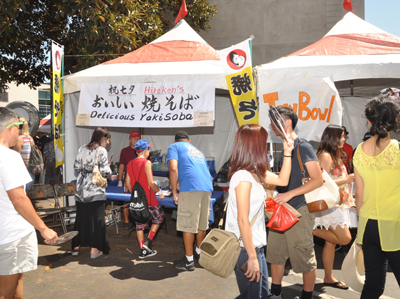 For-Profits may serve non-Japanese food; Non-Profit Organizations must serve Japanese food only (e.g. matcha ice cream acceptable; vanilla is not.). We are looking for Takoyaki, Okonomiyaki, Yakisoba, Udon, Curry Rice, Korokke, Ikayaki, Yakitori, Gyoza, Horumon-yaki, Tsukemono, Manju, Taiyaki, Shaved Ice, Watagashi, Okinawa Dango, etc. Pricing for NPO is $400; For-Profit is $750/$800 (Premium). Price depends on booth location. This application form is for Arts & Crafts vendor booths. Items for sale must be Japanese-related. Pricing includes a 10’x10′ booth with an approved tent covering. Necessary tables and/or chairs are not included but may be rented at an additional charge. This application form is for operation of a Food Truck rather than a booth. Pricing is $500. 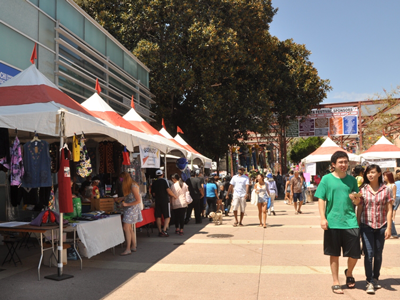 Tent spaces are still available for both commercial booths and vendor booths. 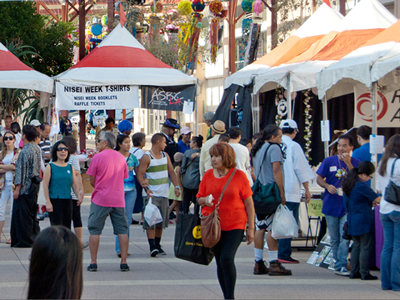 Reserve a space for your organization or business to guarantee a prime location for your food & drink or arts & crafts booth. There is no application form for Commercial Booths. They are only available to Sponsors of the event. Included is a 10’x10′ booth with an approved tent covering as well as any tables and chairs as needed. Please contact us below with any inquiries you may have. This application form is for Food Truck vendors only. Fee is $500.